Water can be sourced from a municipality or you can have your own private well. Municipalities have various water sources--lakes, rivers, or their own well. Sometimes there are different water sources for the same municipality. Private wells are separate entities and water quality can vary greatly within the neighborhood, or even house to house. Individual factors such as pipe size, flow rate requirements, space availability, future floor plans, water test results and family size will help us define each individual application. 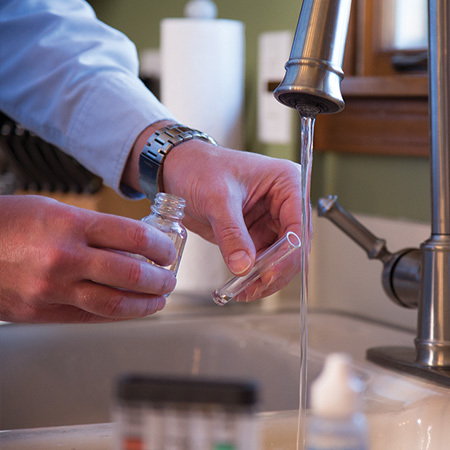 A basic water test is performed on site by the Springsoft water specialist. 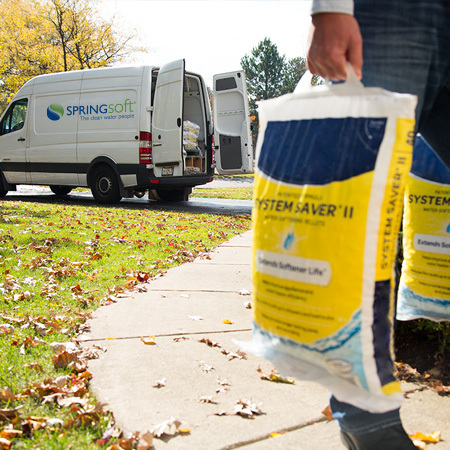 Your Springsoft water specialist will not just provide numbers. Numbers are meaningless without a total understanding of what they mean and how they compare to acceptable standards. Quantitative results provide peace of mind and assurance that we have obtained the necessary information to propose a suitable water treatment solution. 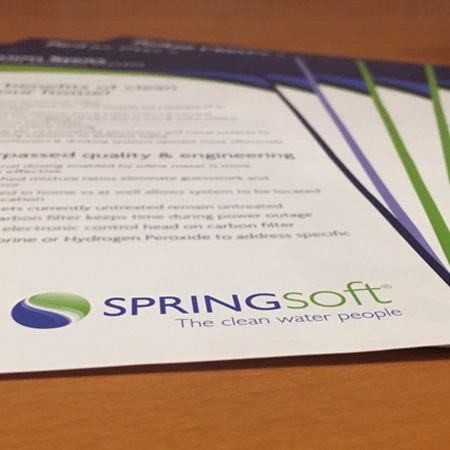 After discussing your specific needs and goals, reviewing the information obtained during our initial consultation and water test, your Springsoft water specialist will provide water treatment options to resolve your water problems. Springsoft offers a wide array of products and services to assist you in achieving your goals. We encourage questions. It is vital that our customers have a complete and total understanding of the proposed solutions. When multiple choices exist, you will be provided with all available options, the pros and cons of each and we will attempt to stay within your budget. 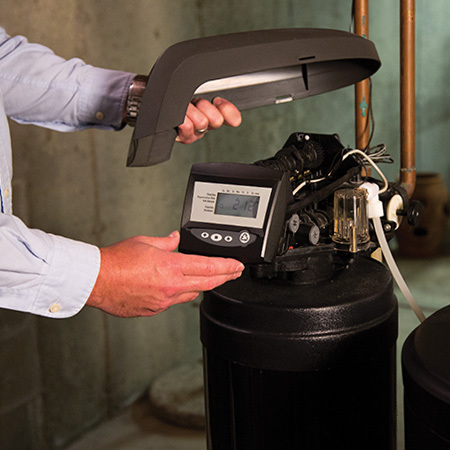 Your new water treatment system will be professionally installed by our dedicated staff of qualified installers. The Springsoft installer has top to bottom expertise with each unit being installed. A Springsoft installation is considered complete only when the installation has been thoroughly checked and the installed equipment works properly as expected. Our quality installation is more than securing your new system to existing plumbing. Once the installation is complete, you will be given a thorough explanation of your newly installed equipment, how it works and the necessary maintenance required. Experienced Springsoft staff is always available to answer questions before and after the installation. To achieve optimum performance and longevity from your system(s), simple ongoing maintenance may be required. 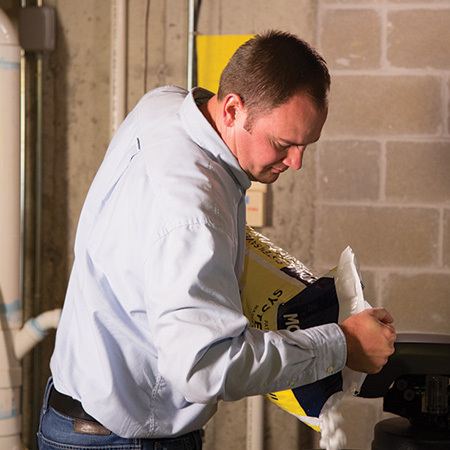 This includes, but is not limited to, maintaining proper settings, adding salt to the water softener as necessary, drinking water filter replacement, whole house filter media replacement and other forms of upkeep. If you prefer, ongoing maintenance can be performed by the Springsoft service team. 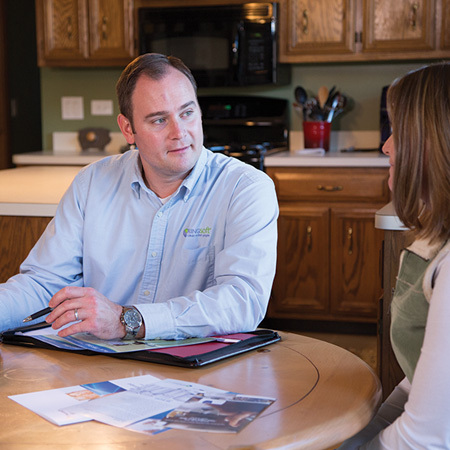 We can create a maintenance plan that complies with your schedule and adheres to your budget.